When some patients think about dentures, they only think about the traditional sets. They think about sticky adhesive and teeth that can slip or click out of place. At Mason Cosmetic and Family Dentistry, our patients who are missing teeth have more options. 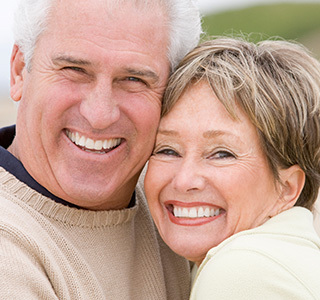 We offer multiple restorative dentistry options for full sets of teeth, including dentures, implant supported dentures, removable implant supported dentures, and All-on-4. Implant supported dentures are different than traditional dentures, because they provide a more permanent and secure foundation. Implant dentures use a series of dental implants to attach your replacement teeth to your gum line. With implant supported dentures, your dentures will never slide or click out of place. You will be able to share your beautiful smile without worrying about the potential awkwardness or embarrassment that can could occur if your denture adhesive failed, and you will be able to eat all the foods you love without worrying about your dentures moving or sliding out of place. Implant supported dentures provide a more permanent and comfortable solution. At our office we offer both permanent implant dentures and removable implant supported dentures that patients can clean themselves. We also offer All-on-4. We are fortunate to have Dr. David White as part of our team who can expertly and strategically place the dental implants your dentures will be secured to. 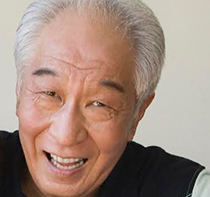 With All-on-4, you can get beautiful, implant supported dentures after only one office visit. We have the technology and the experience to have your implants placed and your dentures secured in one appointment with state-of-the-art All-on-4 technology. All-on-4 are comfortable, durable, permanent dentures that can give patients a second chance at a full, lasting smile. We have the technology to create implant supported dentures that fit more snugly and comfortably than their traditional counterparts. Our implant supported dentures give patients another chance at a full and beautiful smile. Call us today if you are in the Grapevine area, from Southlake and Keller, to Colleyville!